The pathological resistance to change works synergistically with scarcity mentality and compartmentalization, and constitutes the fundamental dysfunction of the brilliant jerk. Resistance to change is really just another form of compartmentalizing, except that it privileges the past over the present and future, rather than one area of life over another. None of us really like change, but to the brilliant jerk, change is the bane of existence. The logic goes something like this. All brilliant jerks are, or were at some time, experts who brought great benefit to others in some way. Many times they are successful entrepreneurs or founders of companies whose brilliance got them to where they are today, and who are enamored of the narrative of their own exceptionalism. They want to rest on their laurels, content in a job well done forever, and coast on their success from that point forward. And why wouldn’t they? It’s easy and comfortable and it’s what we all want at some level. The problem is, due to the very nature of a world in constant flux, things just don’t work that way. What worked yesterday won’t work today, and what works today won’t work tomorrow; if you aren’t moving forward, then you are getting left behind. In fact, if you aren’t constantly getting better, you are slowly getting worse! At some point, change will inevitably render previous accomplishments trivial and turn yesterday’s expertise into today’s common knowledge. This is a bitter pill to swallow for all of us, but it is anathema to the brilliant jerk. Because they have staked their value on things staying the same, or even going backwards, they are locked in an eternal, futile struggle against progress. People most threatened by change are usually those who do the most to slow or stop it, and the brilliant jerk attests to this; this conviction undergirds almost all of their activity. Since those resistant to change have a vested interest in maintaining (or returning to) the status quo, they tend to form the bulk of what I call “negative wizards,” who are those people who proactively undermine any transformation efforts that an organization pursues. Often this subversiveness manifests through cynicism, duplicitous gossip, and specious concerns about the fate of the organization. Make no mistake, however: the real reason for their behavior is that they see any transformation effort as a personal threat to their superiority and continued existence at the company. If the transformation originates from an outside agent, this is especially true, and the outside resource may be seen almost literally as an invader that must be defeated. It isn’t difficult to see how this resistance to change prevents the organization from growing. This can be especially exacerbated, again, if they person in question is the leader or founder. Founders and people who have been at the same company for a long time tend to develop brilliant jerk traits, simply because they feel their seniority justifies a know-it-all attitude, which closes them off to any opportunities to improve. For founders especially, most of their expertise or accomplishments lie explicitly in the past, and as a result, they can end up holding hostage the very organization they built. The tendency for founders to inadvertently stifle or even reverse the growth of an organization to remain relevant is so common that there is even a term for it: Founder’s Syndrome. Whereas a regular brilliant jerk will resist change because they don’t want to improve, the founding brilliant jerk will resist change because, in their mind, they shouldn’t have to improve. Their attachment to the bygone golden age rises to the level of neurosis, and prevents them from coherently and productively engaging with the present. For instance, they might say “back in my day, I wrote each check by hand!” This may be true, but it also ignores the fact that “back in their day,” there were only 15 employees, while presently there are a few thousand, most of whom don’t get paid on time! (In more extreme cases, the backward-looking founder may take this as an opportunity to suggest that maybe the organization doesn’t really need that many employees anyway!) The modus operandi of this type of founder is to pretend that nothing has changed, set things up around them accordingly, and hope that reality gets the memo. (It usually doesn’t). But, whether they realize it or not, the tighter they hold on to the past, the more they strangle the organization’s future. Coming full circle, the attachment to the past can also be understood as the source of the brilliant jerk’s quintessential arrogance, fueling the vicious cycle that makes their existence so precarious and angst-ridden. To wit: because the brilliant jerk’s value lies almost entirely in preventing their expertise from becoming obsolete, and because obsolescence is an inevitability due to the ever-changing nature of the world, they must convince others that not only are they the best at what they do, but they are better than anyone could possibly be; not only do they know it all, but there is nothing more to learn. A Sisyphean task, but a task they have tacitly agreed to undertake nevertheless. To do this, they must essentially place their expertise and value on a transcendent plane of existence, outside the bounds of space and time, where it is inaccessible to both change or challenge. They must commit to sustaining and fortifying their self-serving bias against all possible assaults from truth or reality. To them, mere confidence, which waxes and wanes in accordance with circumstance and skill, is a weakness that can be exploited. Arrogance, which is eternal so long as you remain committed to it, is a virtue that they can’t afford not to have. But that takes work. Confidence is an acknowledgement, whereas arrogance is an act—rarely a convincing one, at that. Maintaining the façade of arrogance isn’t easy, because you are literally working against reality itself, an opponent that remains undefeated at last count. This means, in the case of freelance brilliant jerks such as Alvin White, mentioned in the first installment in this series, they need to stifle, shout down and discredit others as strongly and loudly as possible to shore up their own value. In the case of leader and founder brilliant jerks, this translates to turning your organization from an ersatz fiefdom into a virtual fortress, repelling or ejecting would-be interlopers who dare to promote any transformation efforts. To them, any outside help in moving the organization forward is a Trojan horse that could render their expertise, and thus value, null and void. For some founders, this paranoia and possessiveness can become so hysterical that they go so far as to scuttle the organization rather than see it go on without them. Even though they know they aren’t better than everyone else, the brilliant jerks have to pretend to believe that they are, and thus, they live in a constant state of fear and insecurity of being found out as a fraud. Their arrogance is little more than a defense mechanism. In their artificially instituted Impostor Syndrome, they have to constantly overcompensate for their hidden inadequacies. This generally comes down to three tactics: acting like a strongman, feigning impossible expertise, and pretending the problem doesn’t exist. The first has obvious utility; all sorts of defenseless animals puff themselves up to look bigger than they are, in hopes of tricking predators into thinking they are tougher opponents. In the same way, arrogance involves puffing yourself up so that everyone else looks small in comparison—and hoping you can hold your breath long enough to stand up to scrutiny. The weaker and more scared the person, the more forceful their display of power must be. The second tactic is a defense against outside interference. Instead of being forced to recognize when they are at the limits of their expertise, and deferring to those who may know better, the brilliant jerk is able to deflect by saying insane, megalomaniacal, childish things such as: “I alone can fix it,” “I know more about XYZ than anyone ever has,” and, “No one in history is better at XYZ than me!” Again, the more clueless the brilliant jerk is, the grandiose and all-encompassing their credentials will become. Lastly, there is the nuclear option of complete and total denial, which is reserved for issues that the first two tactics cannot resolve. This one is self-explanatory, but it requires that the brilliant jerk be good at pretending. So good, in fact, that not only do they believe their own performance, but they are able to convince themselves that isn’t a performance at all; there really is nothing wrong with leisurely sipping your coffee while the organization burns around you! Of course, the irony of this whole situation is that the very arrogance to which they cling to justify their continued value is the exact same liability that they are trying to shore themselves up against by adopting it. It’s like telling a small lie, and then having to tell a bigger one to cover it up, and so on, until you yourself can’t even tell the difference between truth and your own fictions. Until and unless the brilliant jerk recognizes their pathology and makes a conscious decision to break the cycle, it goes on forever as their influence and relevance eventually recede to nothing more than a footnote. There is certainly a lot more to say on this subject, and I hope to come back to it in the near future. I hope readers enjoyed this in-depth analysis and (brief) return to the longer format. I’d love to hear your thoughts in the comments below. 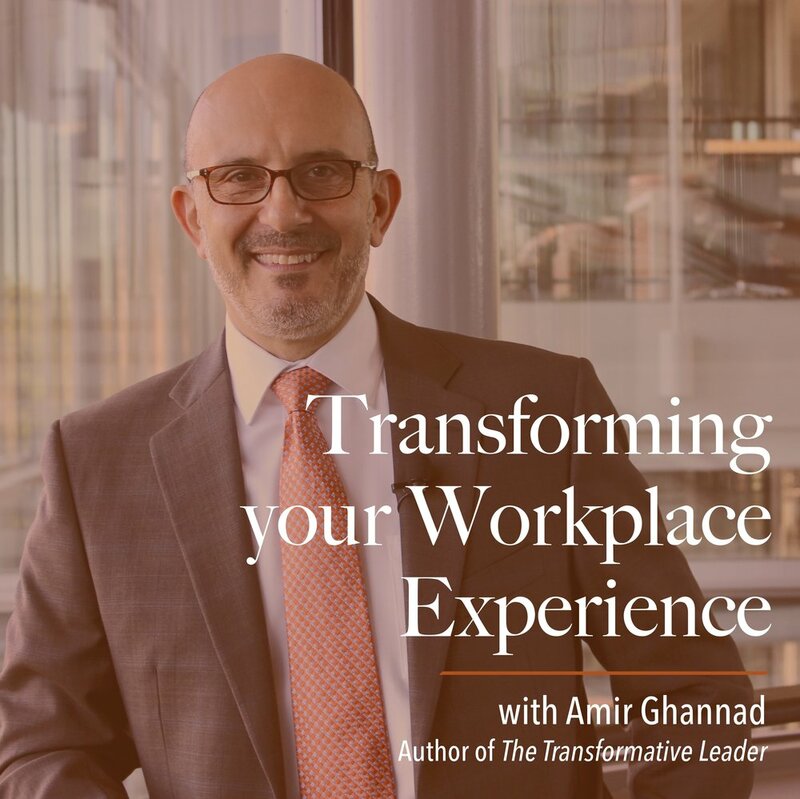 You can now listen to the new 5-part audio series, “Transforming Your Workplace Experience!" This audio series serves as both a great standalone introduction to culture transformation, as well as a companion to our previously available free culture transformation guide. In the series, I walk you through some applications and examples of the concepts presented in the guide, so that you can more effectively put them into practice and get motivated by the progress you will start making. I know that after learning and applying the concepts and distinctions that I present in the guide and audio series, you will be more qualified than ever to create extraordinary cultures that consistently deliver breakthrough results!